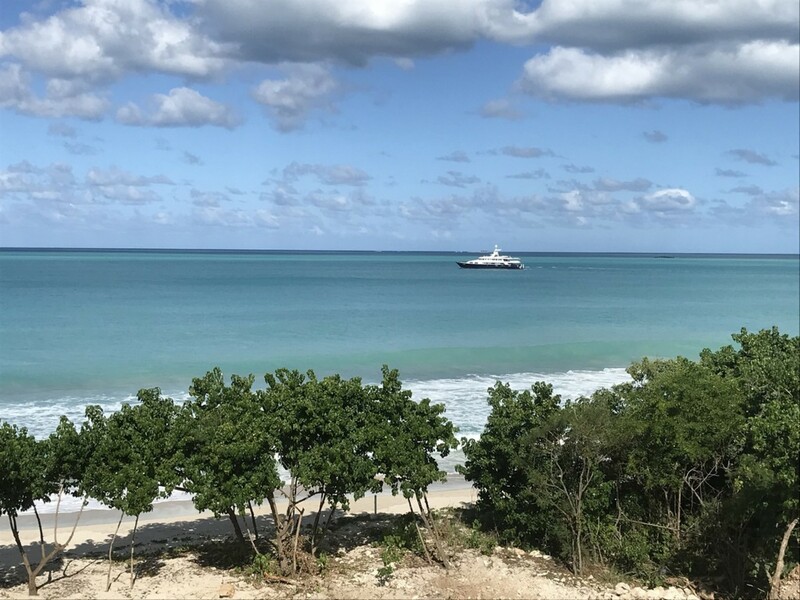 Welcome to Pearns Bay House, a state-of-the-art, 6-bedroom beach front villa in the secluded residential area of Pearns Point on the west coast of Antigua. 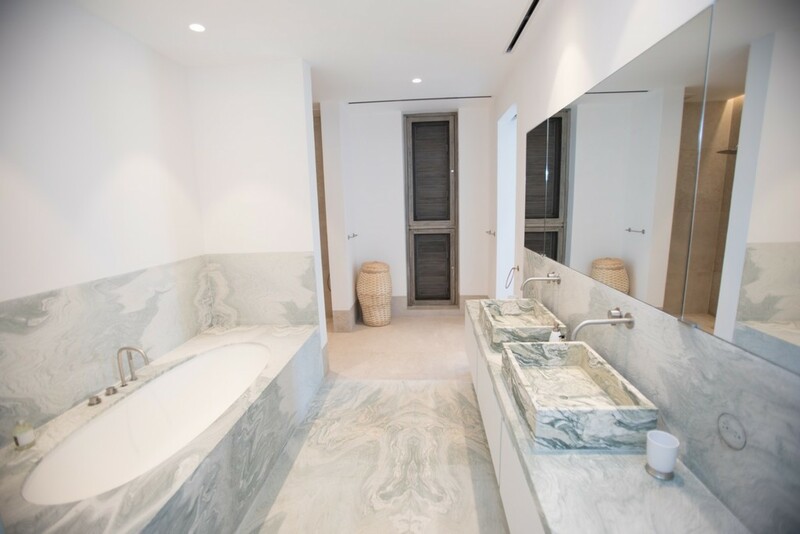 Designed and built by the esteemed architect Piet Boon, this modern villa is built with clean, refined edges of minimalistic and angular styles, every aspect precise and measured in its construction. 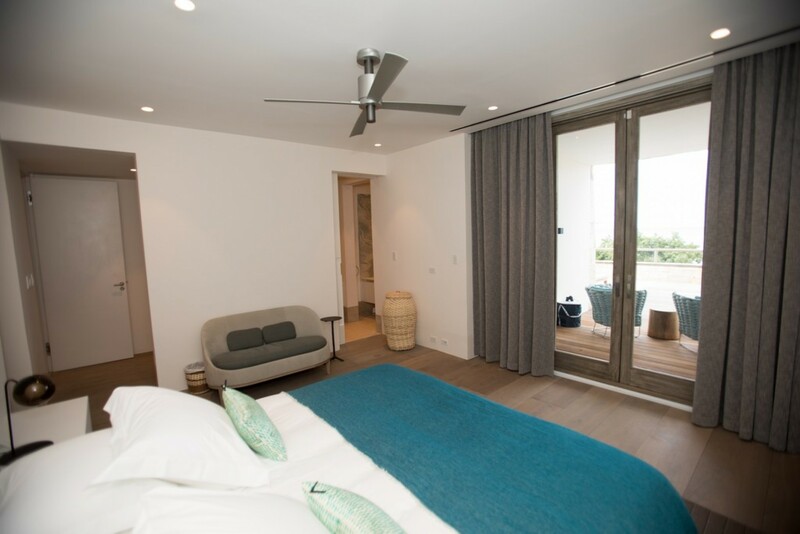 The villa is nestled in the verdant greenery of the surrounding countryside and offers incredible ocean views. 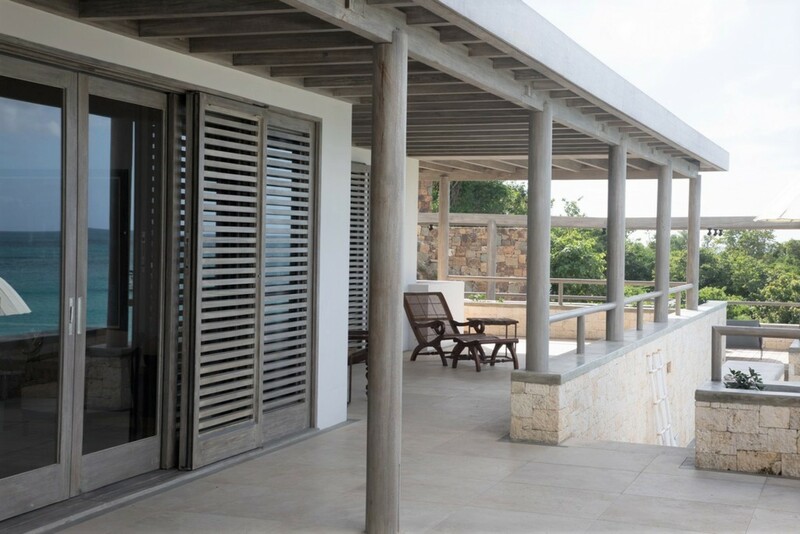 The exterior of the villa features a wide veranda to the rear of the property, providing shade and shelter to the outer lounge and dining areas, to ensure guests can enjoy the magnificent view splayed before them. 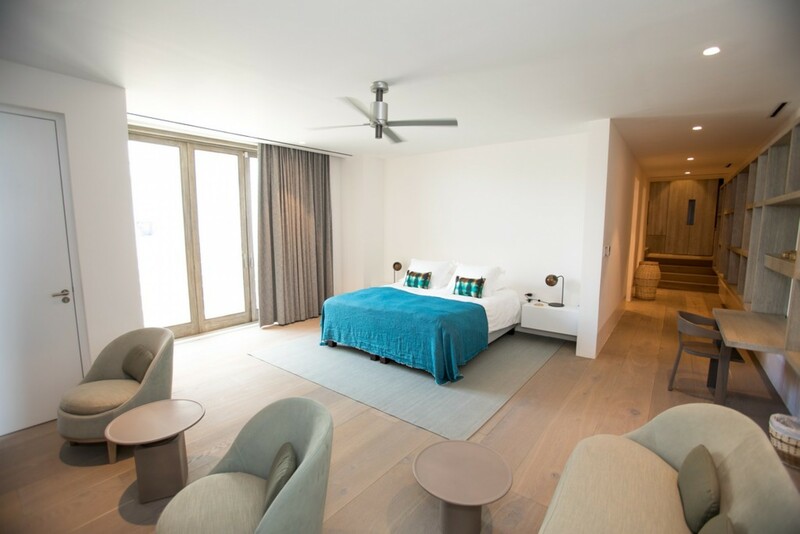 Here, you can relax on the plush sofas, or dine in style. 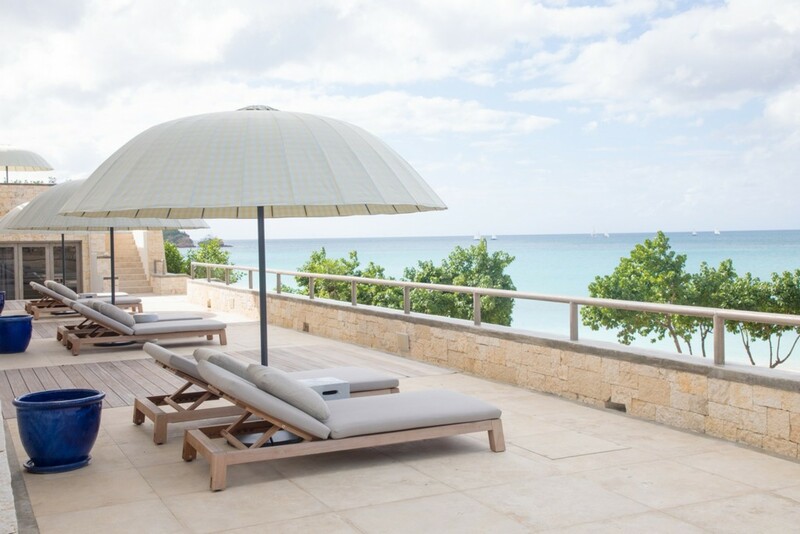 Down the steps, sitting below the expert stone masonry that the villa sits on, you will find a wooden deck with sun loungers and wide parasols for guests to enjoy. 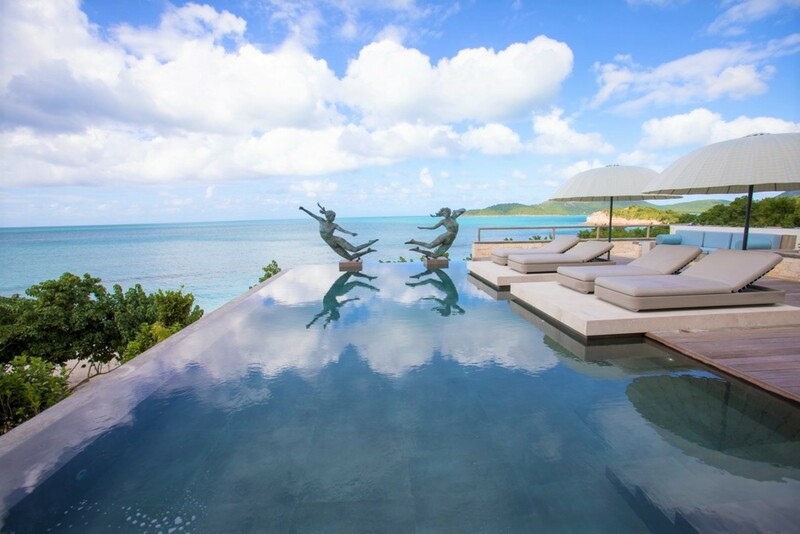 The deck sits adjacent to a palatial-looking infinity-edge pool, embellished with two bronze statues in dramatic posing. 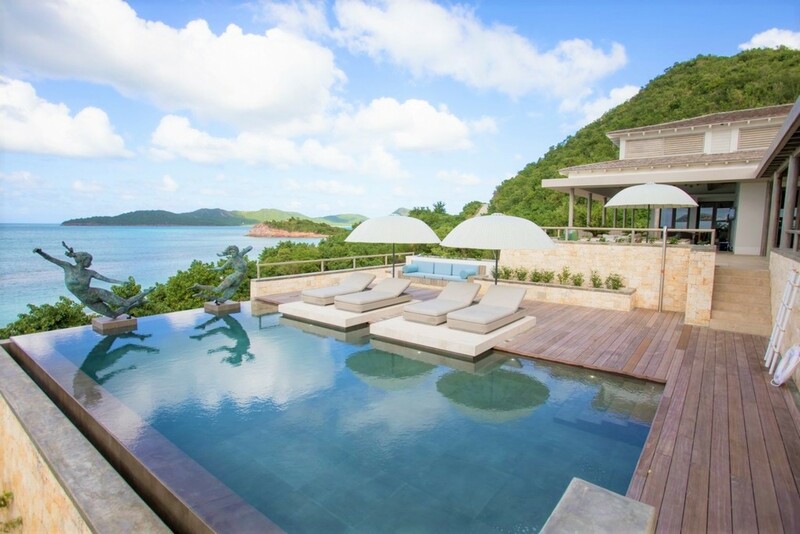 From here, a glorious view of the sunset can be glimpsed, as guests enjoy the cool waters of the pool. 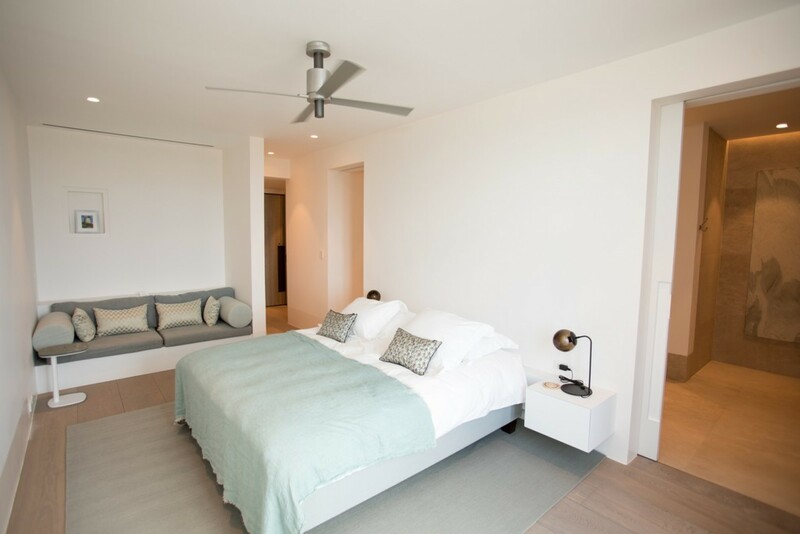 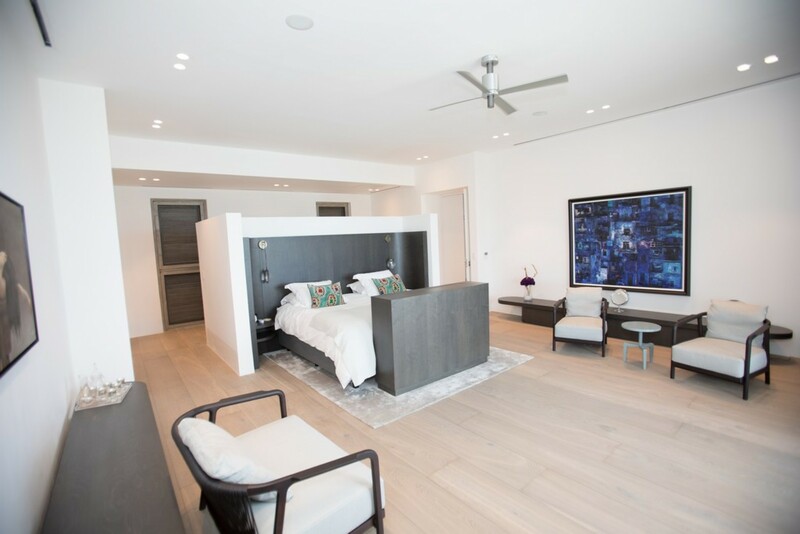 The interior is as minimalist and refined as the exterior; symmetrical, simple and spartan furnishings maximize the space in the rooms, without compromising on comfort. 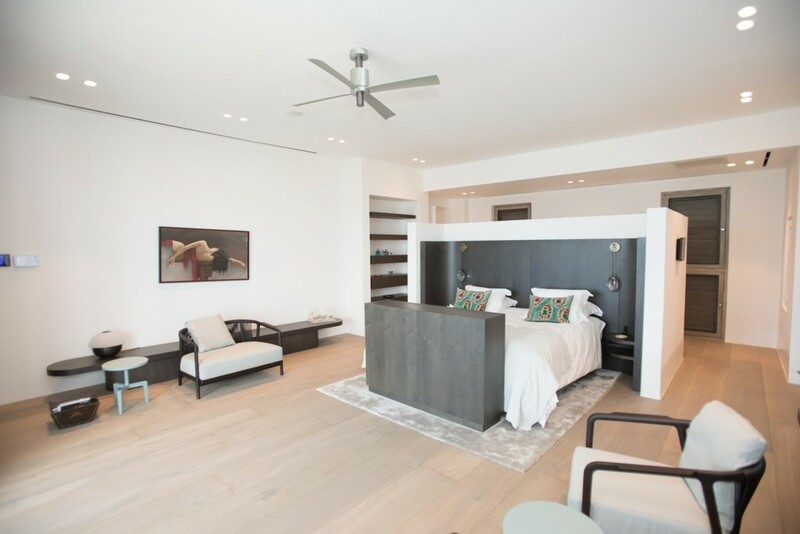 The lounge area contains a large plush couch and arm chairs to sink into, surrounding a stylish low-lying coffee table, allowing conversation to flow easily across the room. 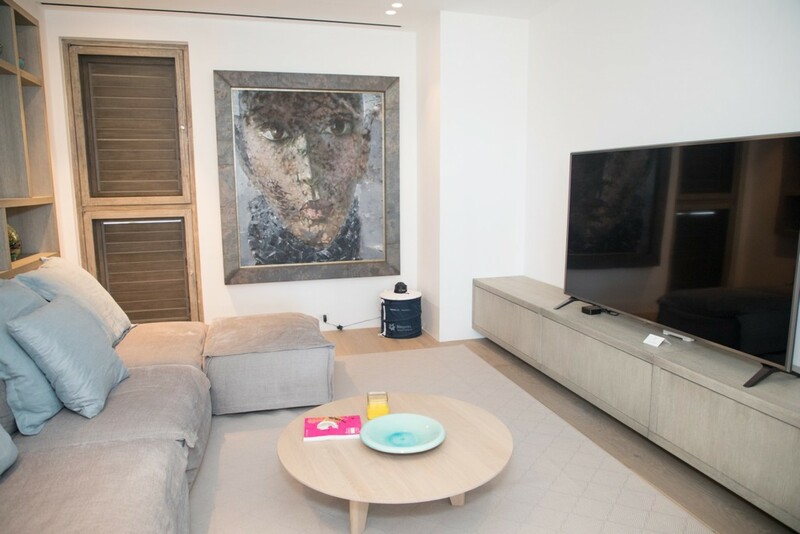 A separate TV room from the lounge gives guests in need of downtime access to the 75-inch SMART TV, letting them enjoy programming without interruptions. 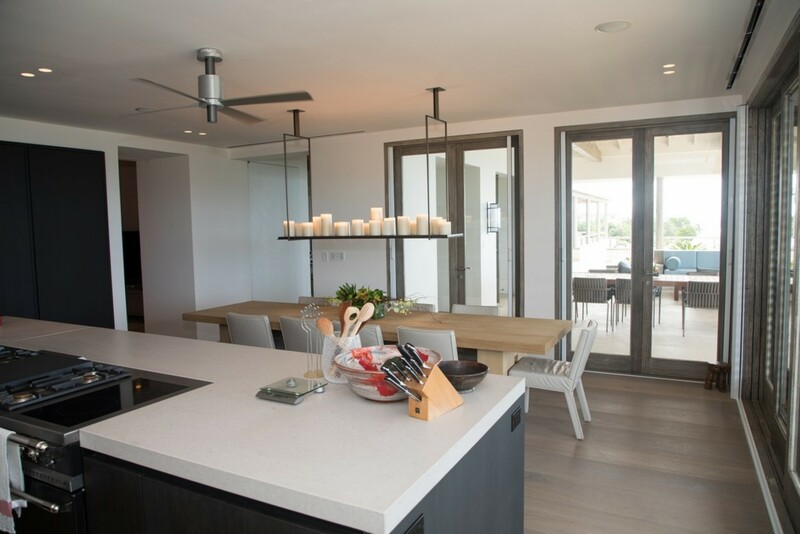 The kitchen follows suit, with clean lines and refined, contemporary installations providing the space with a bright and neat area to prepare food in. 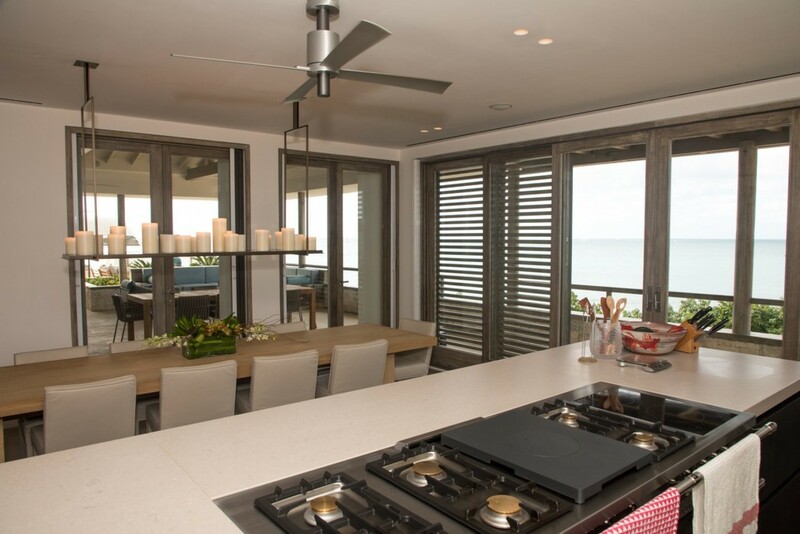 A kitchen island equipped with modern appliances is fit to cook any dish that’s thrown at it, and with the additional services of a professional chef, can whip up a sumptuous meal at a moment’s notice. 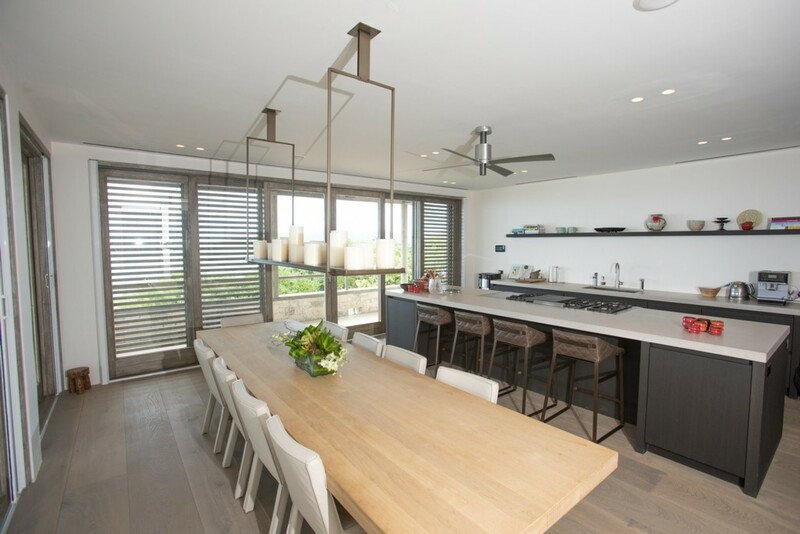 The island also doubles as a breakfast bar with seating for four, and a long wooden slab dining table sits juxtaposed to it, with seating for 10. 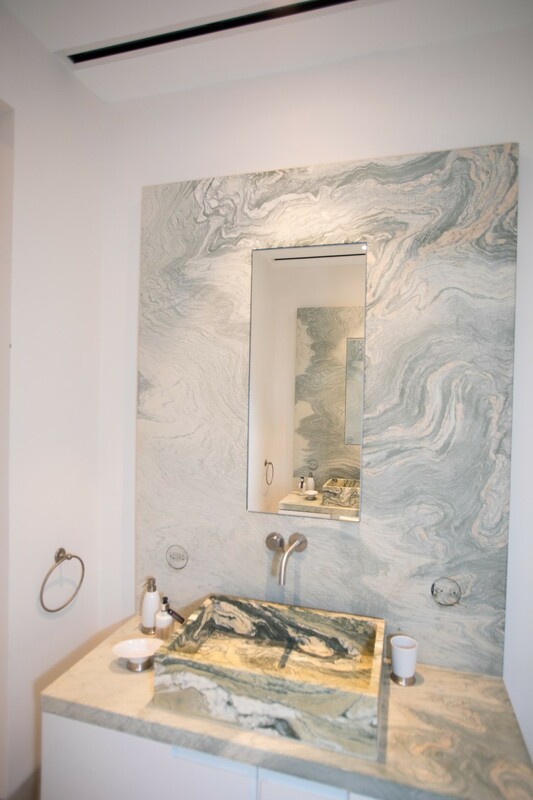 A contemporary candelabra tray provides a soft ambient glow, as dinner gets underway. 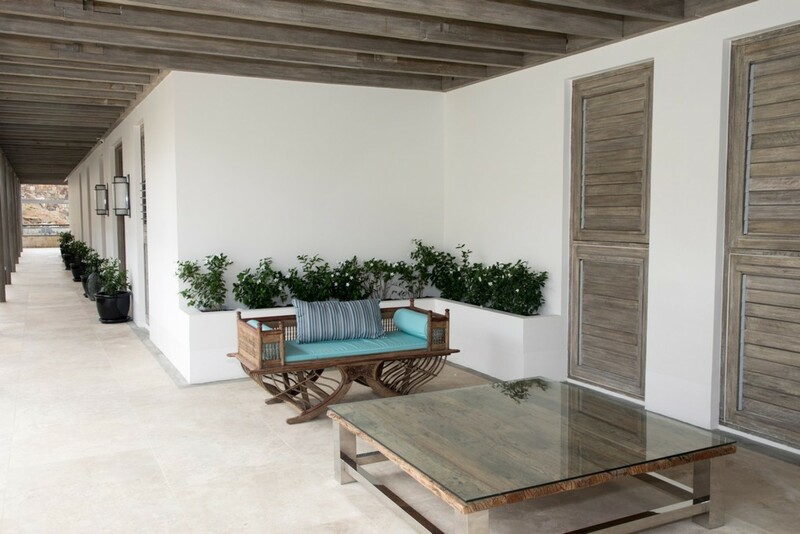 Patio doors open the kitchen out to the veranda, where the outer dining area is the perfect space for dinner al fresco, or even as a space to enjoy morning coffee for early risers. 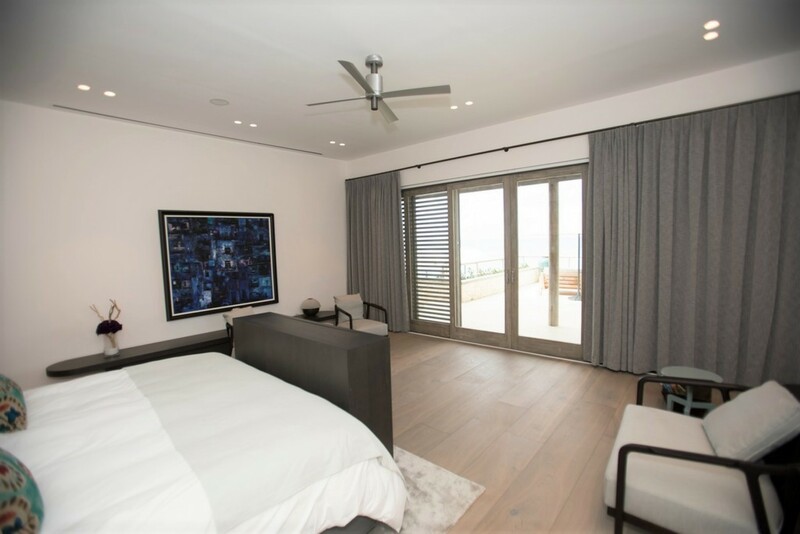 The villa feature 6 luxury bedrooms. 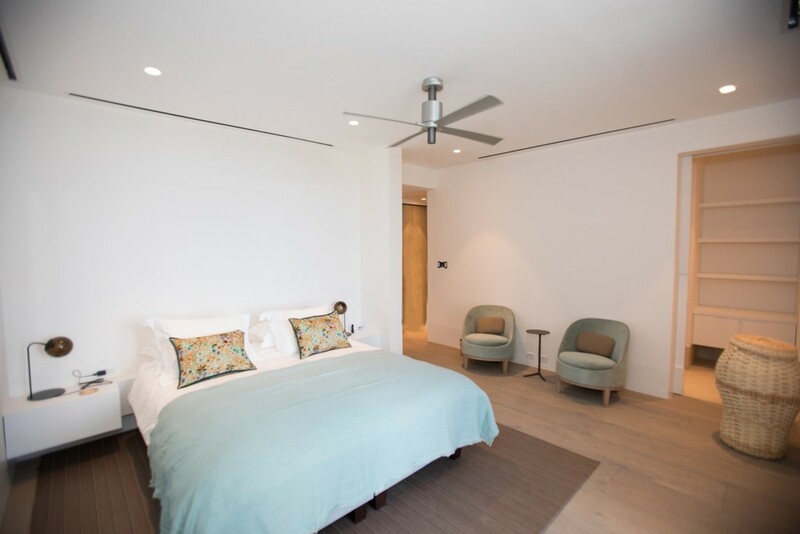 The bedrooms are wide and spacious, despite the large king size beds commanding space in the rooms. 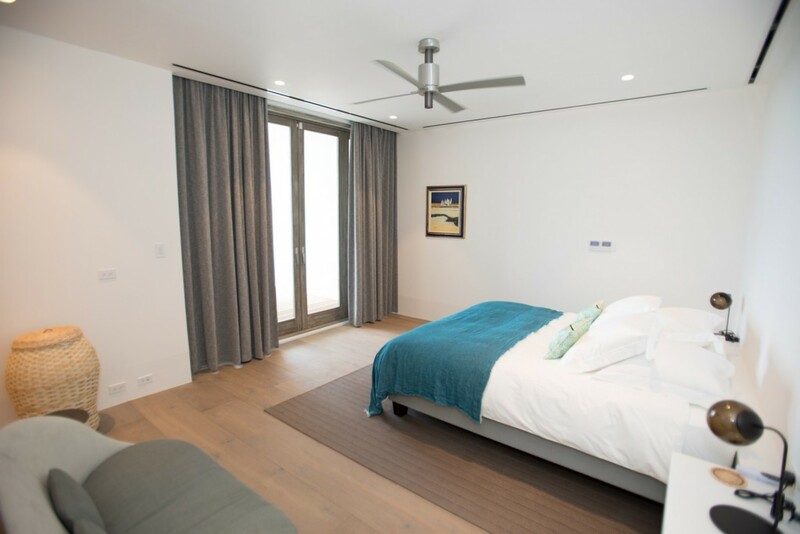 Wood floors, clean white walls and original art work decorates each of the rooms sparsely, but tastefully, designed to give the mind and body the opportunity to wind down without distractions. 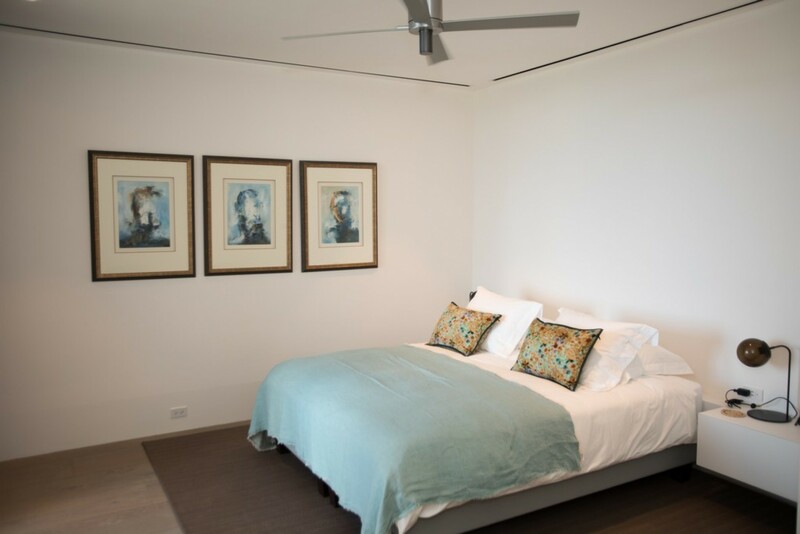 Luxurious linens in the bedspreads ensure guests will have the utmost in comfort as they fall asleep. 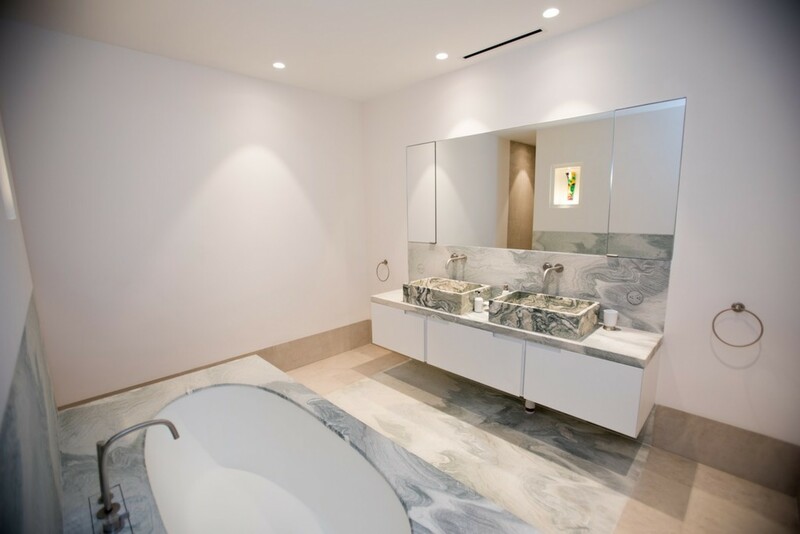 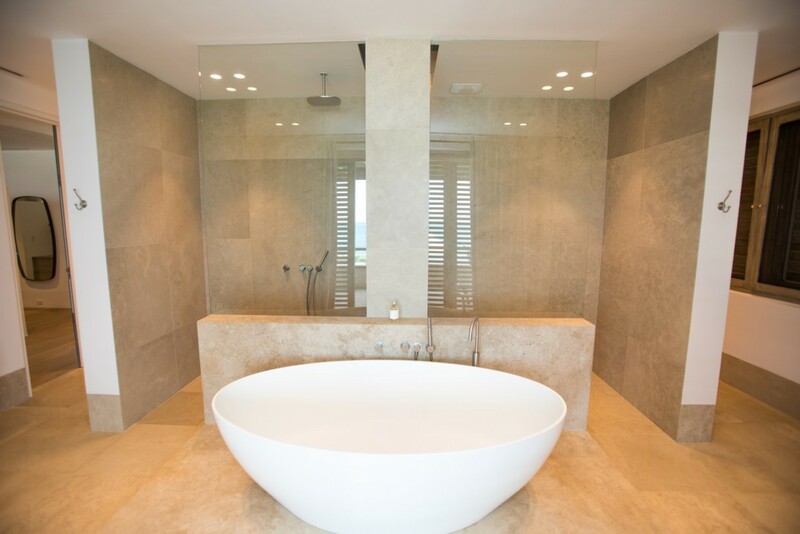 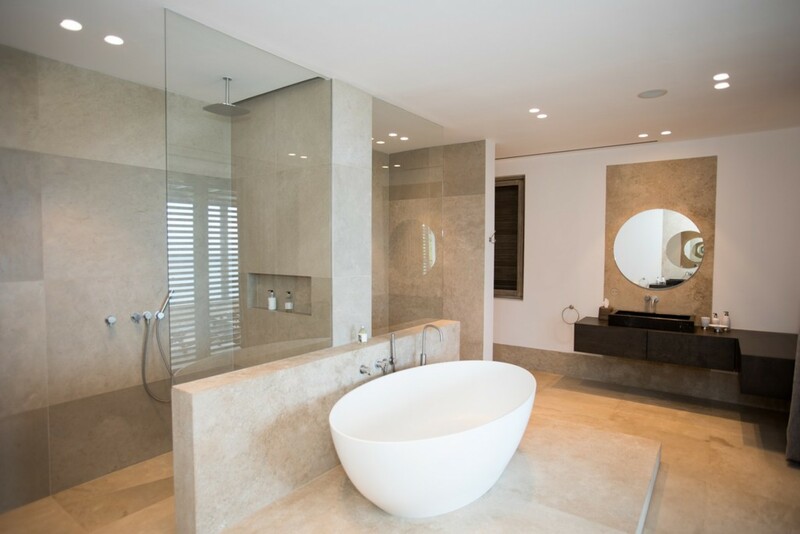 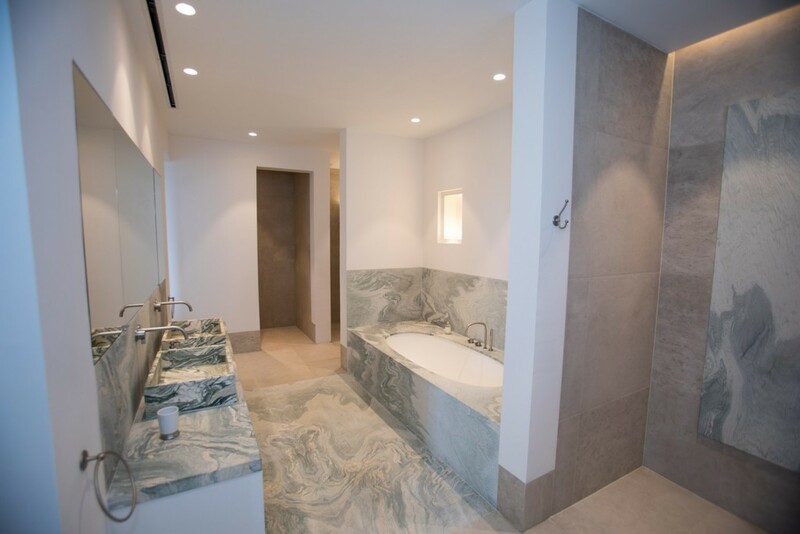 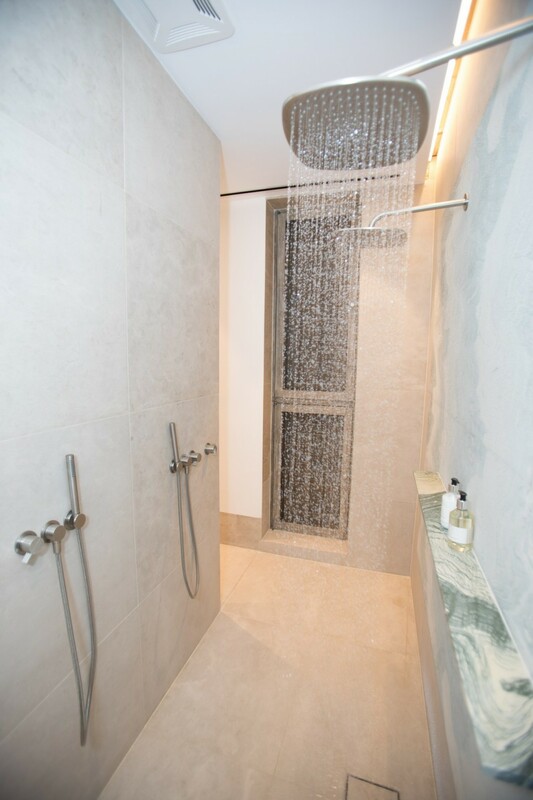 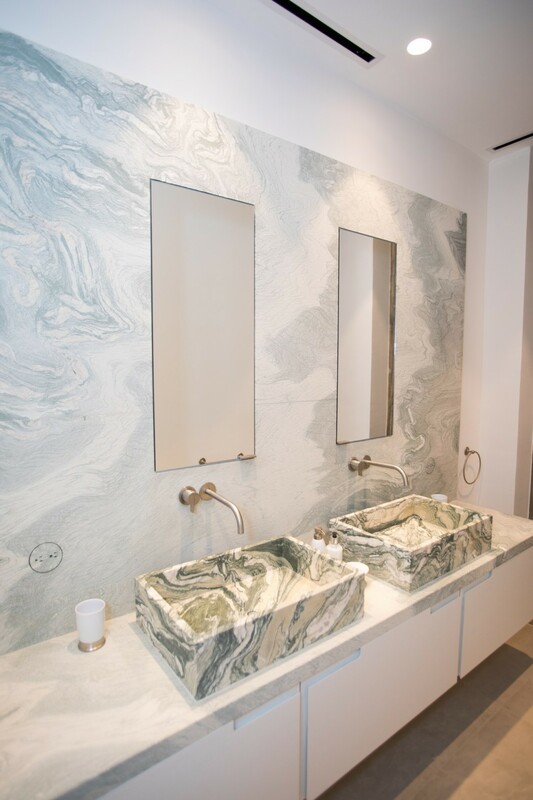 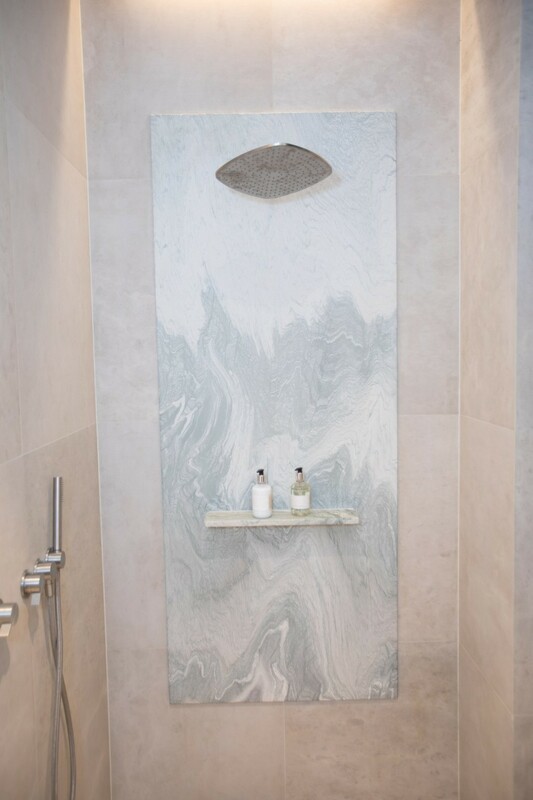 The bathrooms are well lit and roomy, the textured stone in the tubs and sinks polished to a smooth finish, the fittings and faucets fashioned from shining steel. 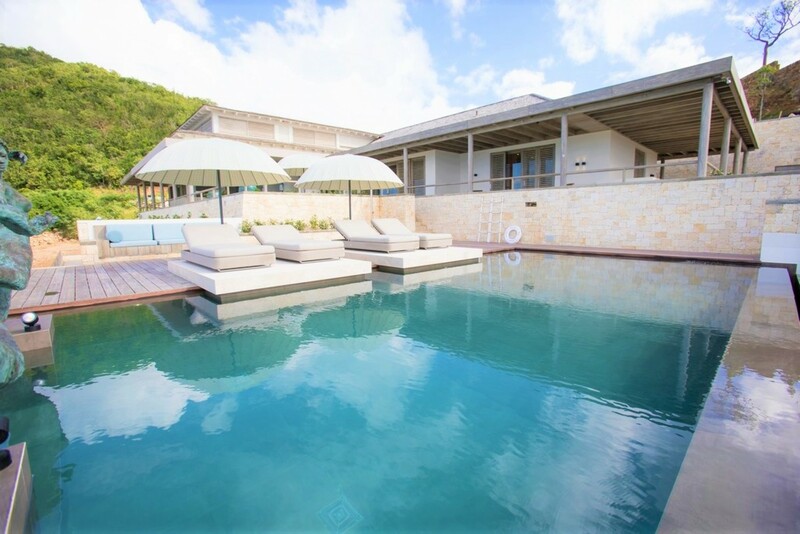 Located at the tip of the peninsula near Hermitage Bay on the western end of the island, the seclusion of Pearns Bay House makes it the perfect hideaway villa for a relaxing vacation. 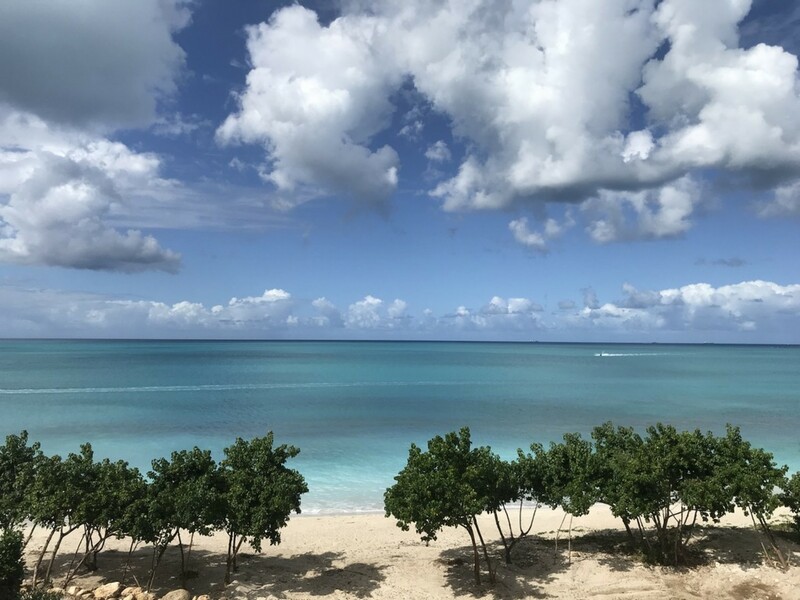 Due to the size of Antigua, nothing is ever too far away; St. John’s is a little over 30-minutes’ drive away (11km), where all manner of shops and restaurants reside, alongside plenty of sights for guests to see and explore. 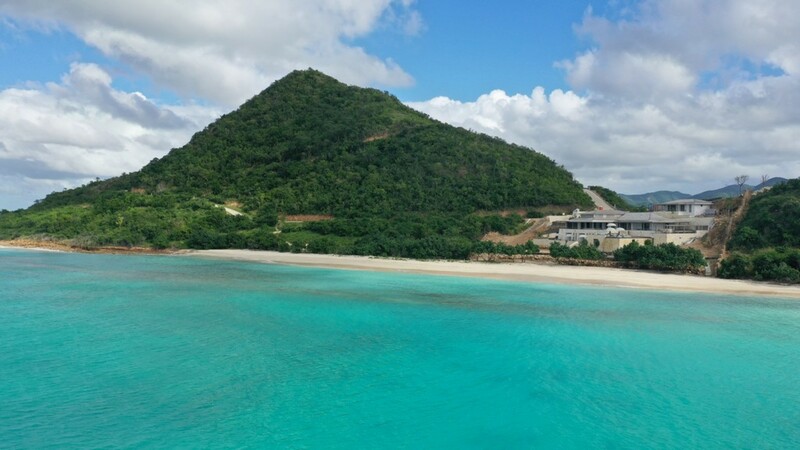 The history of St. John’s and Antigua itself can be fully explored in the Museum of Antigua and Barbuda, right in the centre of town (10.3km), and Fort James at the northwest side of the town still survives from the 18th century, built to defend the harbour from invasions. 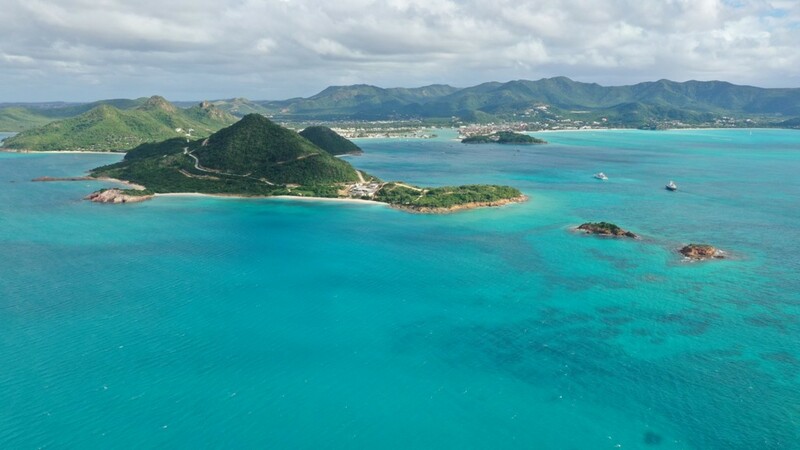 An island such as Antigua is guaranteed to have ample coastline to explore, as well as plenty of water activities, many of which are available in Jolly Harbour (3.7km), including scuba diving, snorkeling, swimming, surfing, fishing, boat chartering and much more, ensuring that guests will have no shortage of experiences to look back on fondly.